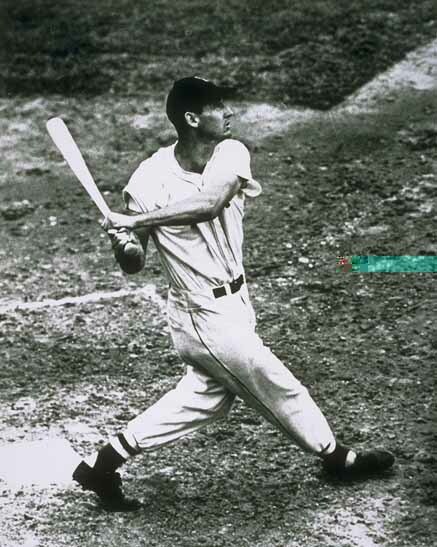 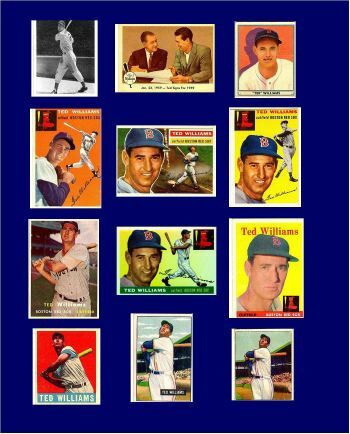 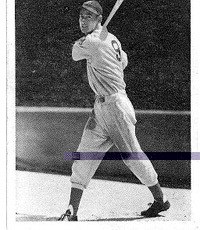 Collage of Ted Williams baseball cards. 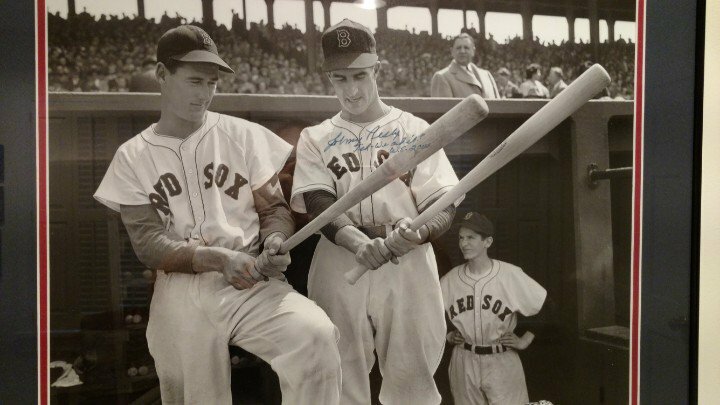 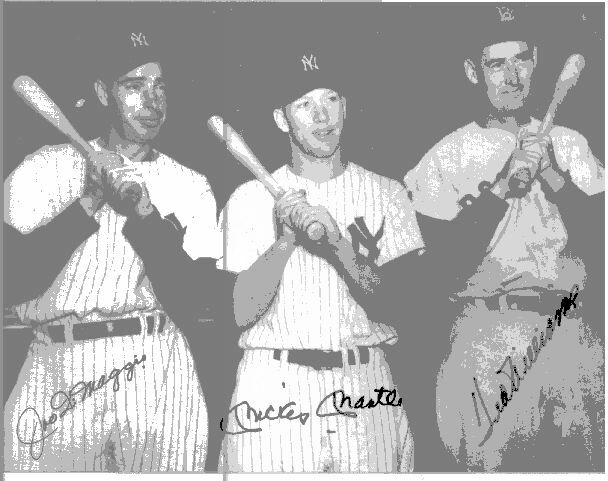 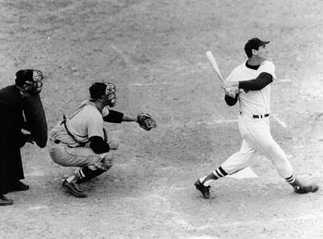 Johnny Pesky: "Ted, we did it! 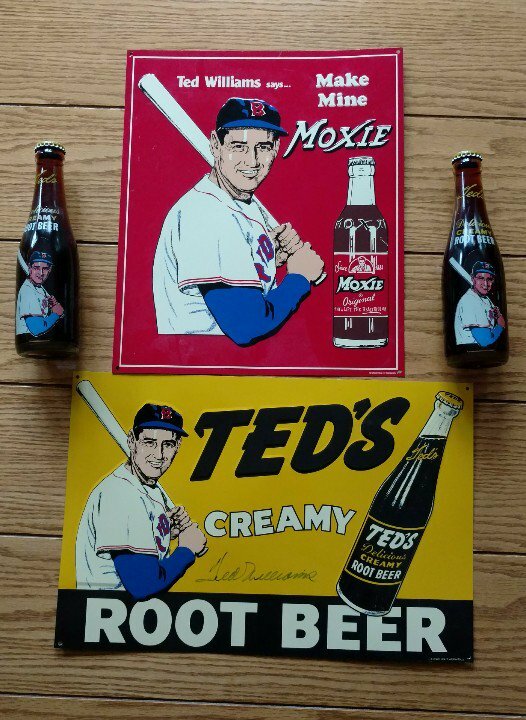 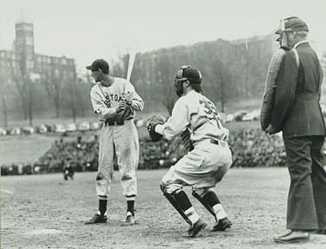 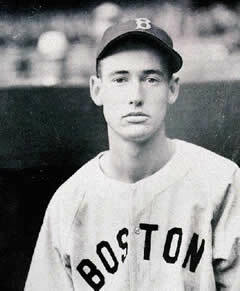 WS 2004"
Ted as brash young rookie, 1939"
Ted's Root Beer and Moxie"